If you read my blog regularly, you must know that how much I adore perfumes, body mists. I just can’t get over these. I use body mist and perfume together. Ok so you must be wondering why I do so. Like why on earth I am using the two together. 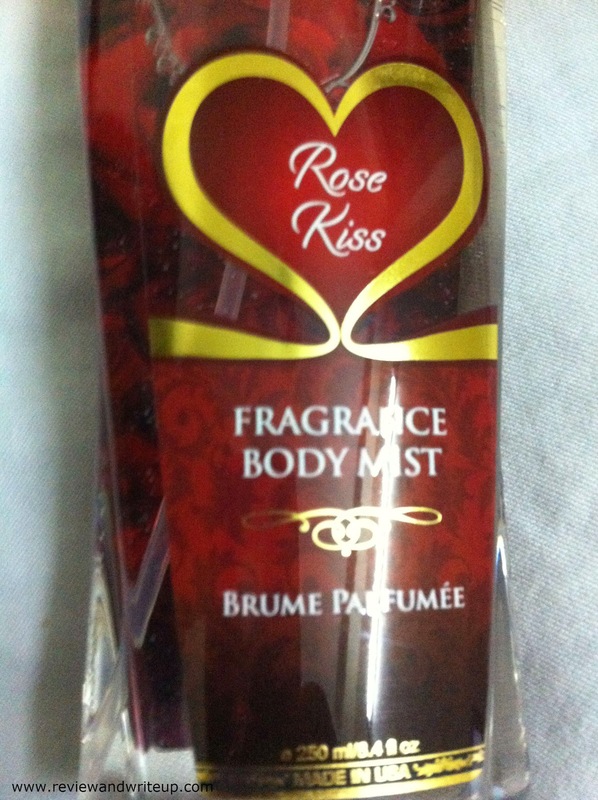 Keep reading you will get to know but let’s just brush up a bit about body mist and perfume. Whatever I am writing is very practical and based on my experience. Body mist – It’s like a visible body spray. Normally when we see a spray we don’t get to see in liquid form because of its compressed nature and lot is just full of vapors/gas. Body mist normally comes in transparent bottles (Of what I have seen) and looks like water. Reason because body mists have more water, are high in alcohol and of mild fragrance. You can spray on your body and I have not experienced any blackness/darkening of skin because of body mists. Its staying power depends on the fragrance. A mist with a strong fragrance will stay for long as compared to the one with mild. Normally a body mist lasts for say 2-3 hours. Also for 2-3 hours your body will have fragrance of body mist, once it fades still you will feel fresh for another hour or two. You need to reapply to stay fresh always. 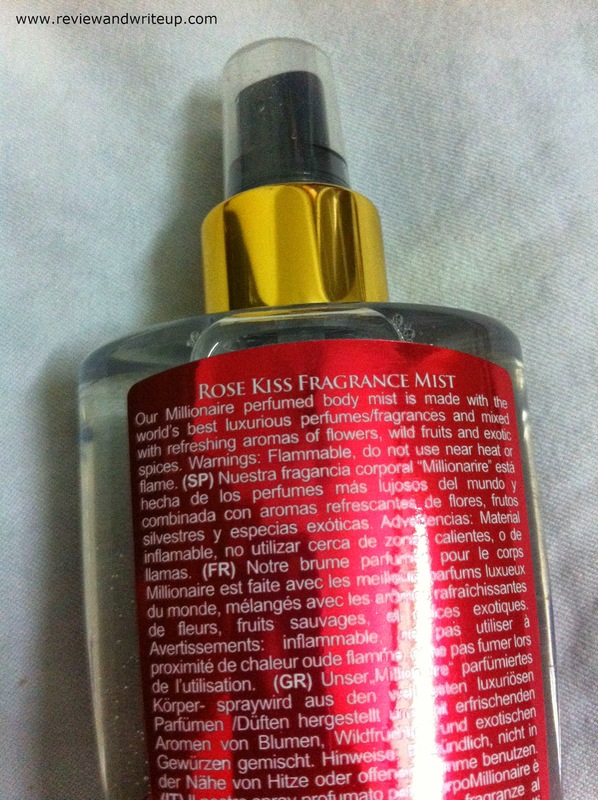 For Body Mist I am using Millionaire Beverly Hills – Rose Kiss. I can never be done with rose fragrance. I just love it so much. I love its long bottle and packaging. Spray is so good. As it has strong fragrance it stays for approx. 3-4 hours if I stay inside. If I roam around, it fades in an hour. 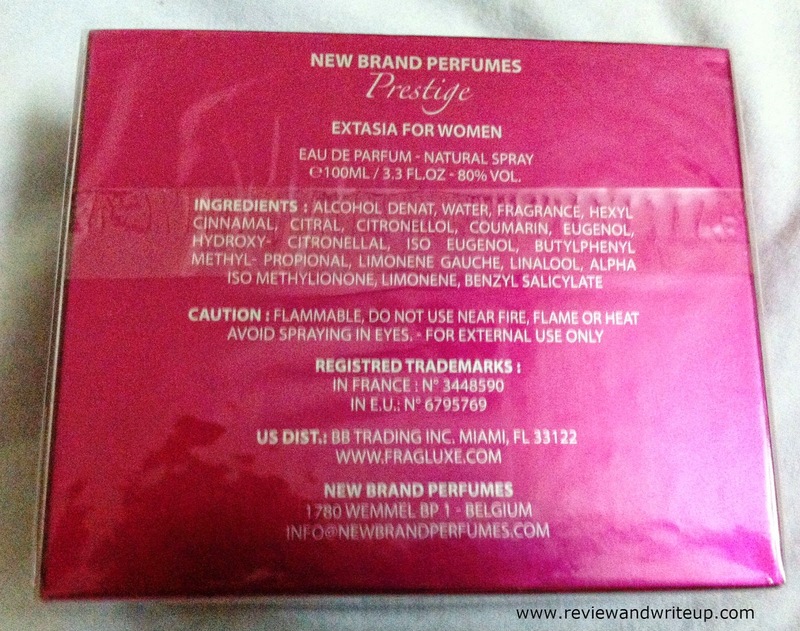 Perfume – Less water, more fragrance, less alcohol are features of perfumes. A good perfume stays for really long. You can spray on clothes; one shouldn’t spray on skin at all. I know we tend to spray on plus points, I don’t know if it really works. I feel that it just goes away like a blurr. If you have experienced something differently please let me know. 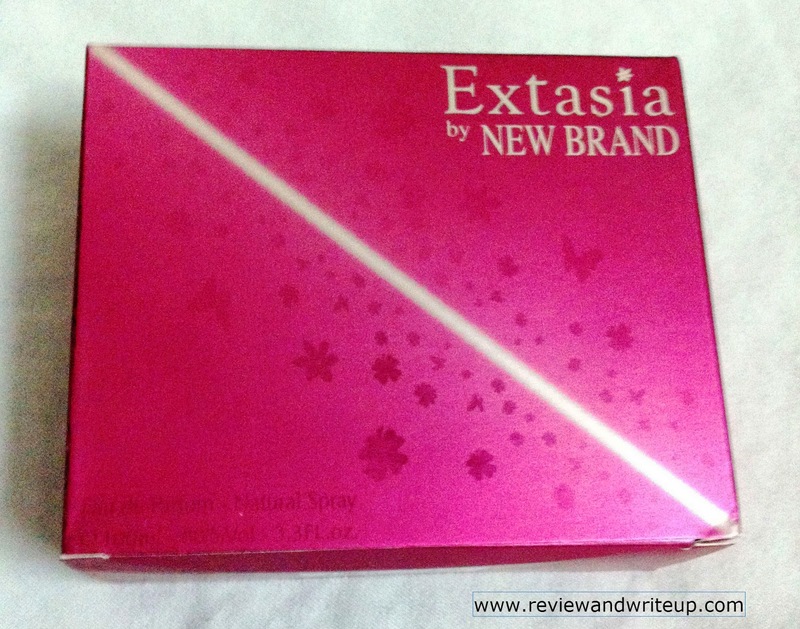 For Perfume I am using Extasia By New Brand on my clothes. It stays all day long. 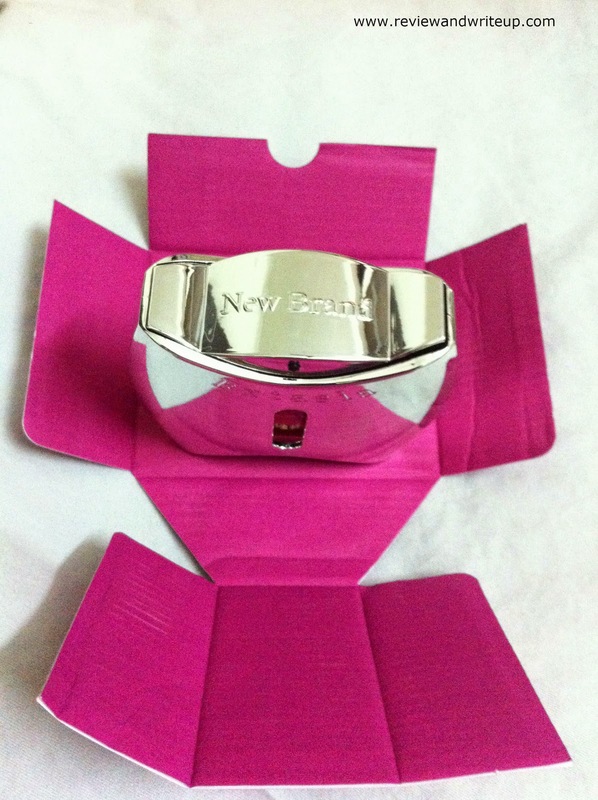 I love its classy bottle which comes in a silver cover. Don’t you think it looks like an expensive jewelry box? Whatever I love its smell. I don’t mind if I am or person standing next to me is overboard with perfume. I just want to smell good always. Body odor is something that put me off. So that’s why I am using two together. These amazing scents were a gift. I tried to find these in India, but couldn’t find one online. If any of you find it online or know where one can find these please share information in the comments section below. Hi, may i know what is the retail recommended price for the mentioned body mist? Thanks.